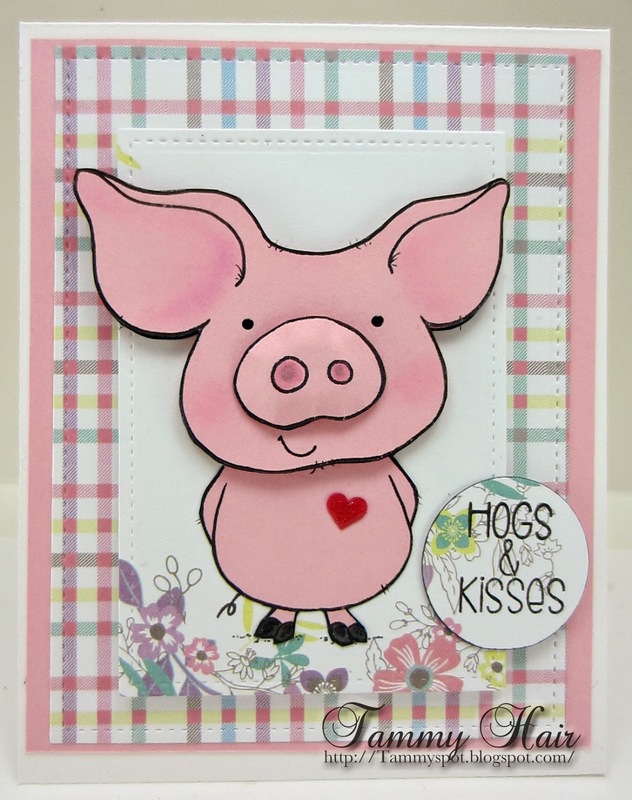 Once again I am playing along with From the Heart Community Digital Stamp of the Month Challenge that features the adorable Hamlet Piglet Being Shy. Who can resist an opportunity to play with a pig especially as cute as Hamlet! I love this little pig popping of the page to give me a kiss, Tammy! Fabulous work! Hamlet's a little cutie! Love that plaid paper and your coloring on his too. The heart and flowers are a perfect addition! You've been using such cute, fun images lately and it makes me happy to come visit here and see them! Hamlet is just adorable. Love all his popped up parts. Sweet as can be, Tammy ! Great take with our FREE Stamp of the Month April @ From the Heart Stamps. Thanks for joining us. He is quite adorable. Love all the dimension you've added and that plaid background too. This is so adorable, love the heart! Thanks for playing in our SOTM challenge at FTHS. CUTE! love that you've popped up this image too, looks terrific!